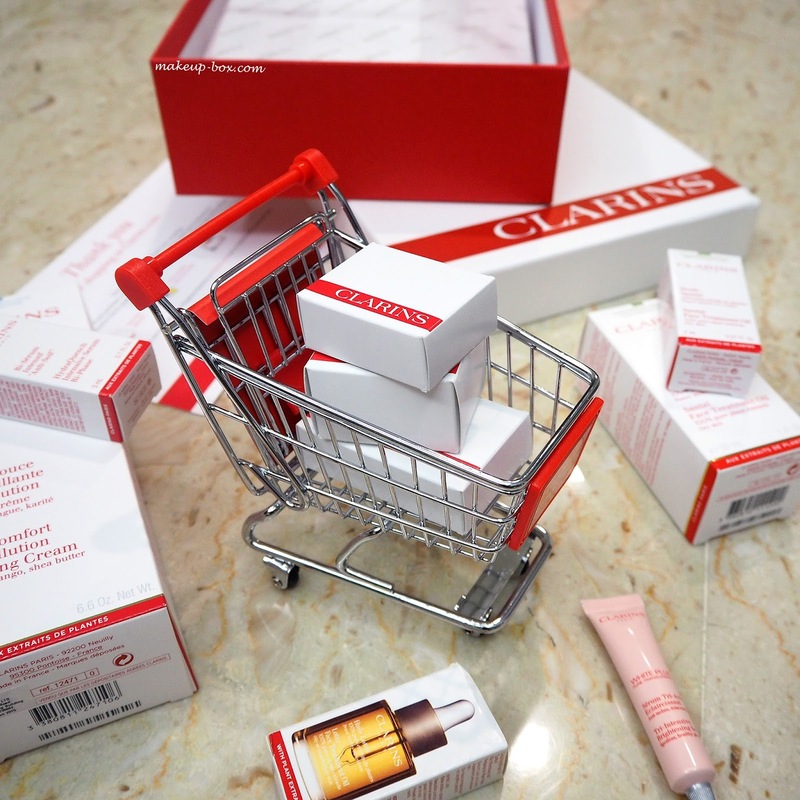 The Makeup Box: Shoppers in Singapore - get free shopping and online exclusives on Clarins.com! Shoppers in Singapore - get free shopping and online exclusives on Clarins.com! I can't say how happy I am that more and more brands and retailers are now offering their products on e-stores locally. Took a long while before they finally realized they were losing more and more consumers to foreign retailers. Honestly, I'd rather pay a little bit more to the brand locally if it means not having to pay international postage to shipping companies and waiting weeks to get my products. Here's why I like the web store so much. I have a few staples in my skincare routine that I keep repurchasing whenever I am running low; now I click and it arrives at my door. 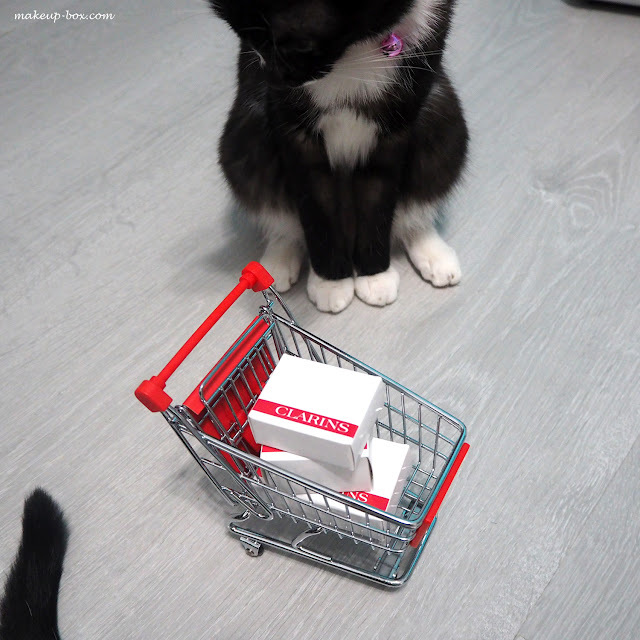 You get free delivery with SG$100 purchase - which, trust me, is not hard to reach when you buy French luxury skincare. But as a launch promotion, from now until 20 March, there is free delivery on all purchases. 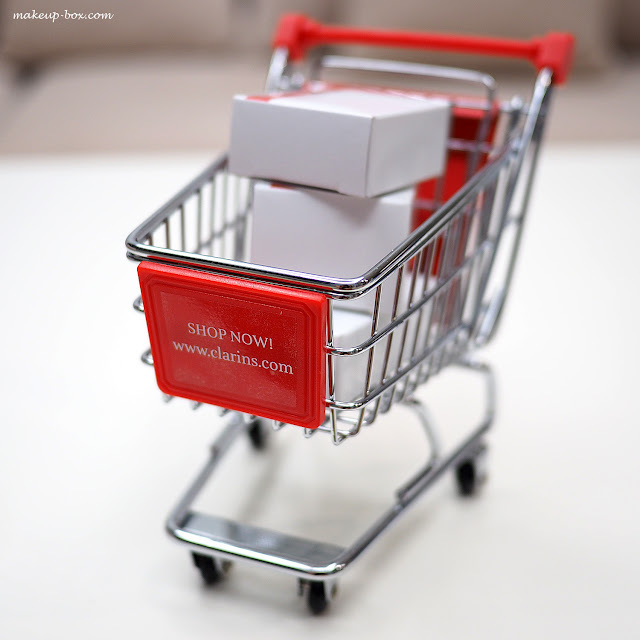 If you're a Clarins member, you get points for shopping online as well as offline. There are online exclusives, offers and freebies when you spend above specific tiers. They also have an opening promotion where the first 500 online customers get an extra 10ml White Plus Serum vial. You can pick 3 samples of your choice. The entire store is nicely structured and easy to navigate. No confusing sections and unclear instructions. I do need to show you guys this SUPER-cute Barbie-sized Clarins shopping cart that the team sent as a promotional gift. It's extremely detailed and fully functional too; 4 spinning wheels, a collapsible toddler seat, and 3 Clarins goodie boxes. Totally made me laugh when I saw it. Just to put things in perspective, here is V.V. sitting with it. And she's not a big cat by any means.